This was a one day ride, which we did, since the distance was short. We reached Manavya at around 12pm. Kids welcomed us with a big smile. We were not tired, we never would be. Coupled with fun and some info about the NGO, lunch was simple and POTBHAR. Akshay Gadre, our singer friend did dhamal karaoke session with the kids! The amount raised was used / will be used for solar energy management infrastructure maintenance. We collected a total of Rs 43880. 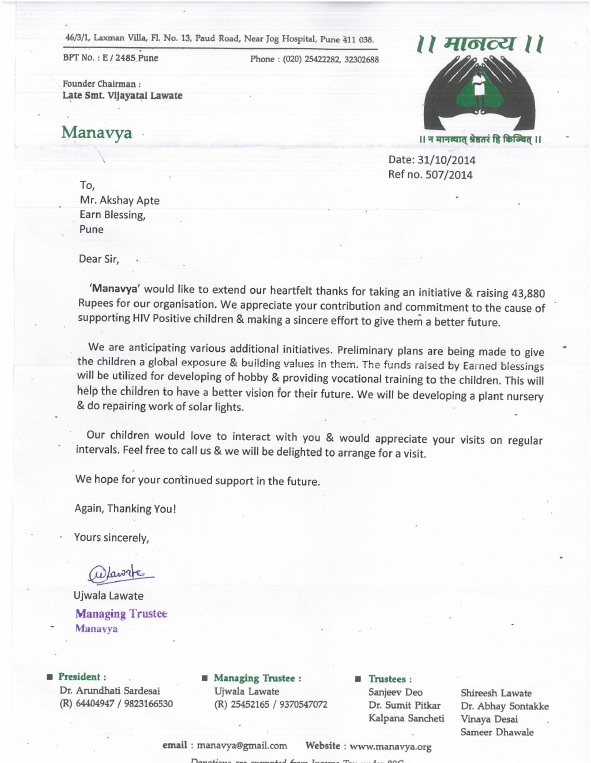 Here is the Appreciation letter as well as receipt. 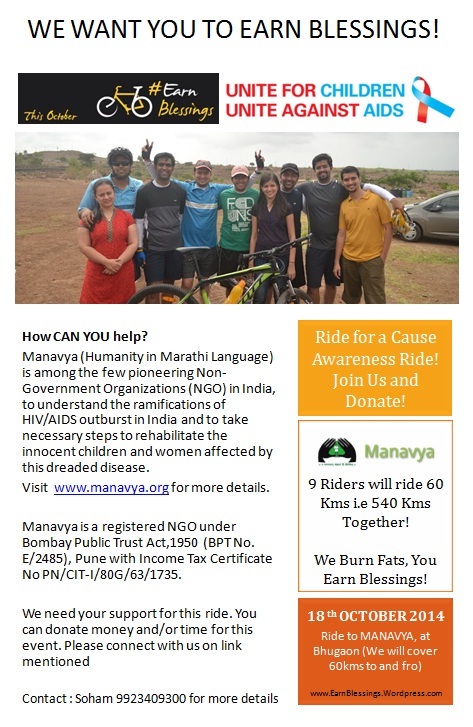 Today we are happy to complete the loop for Manavya . 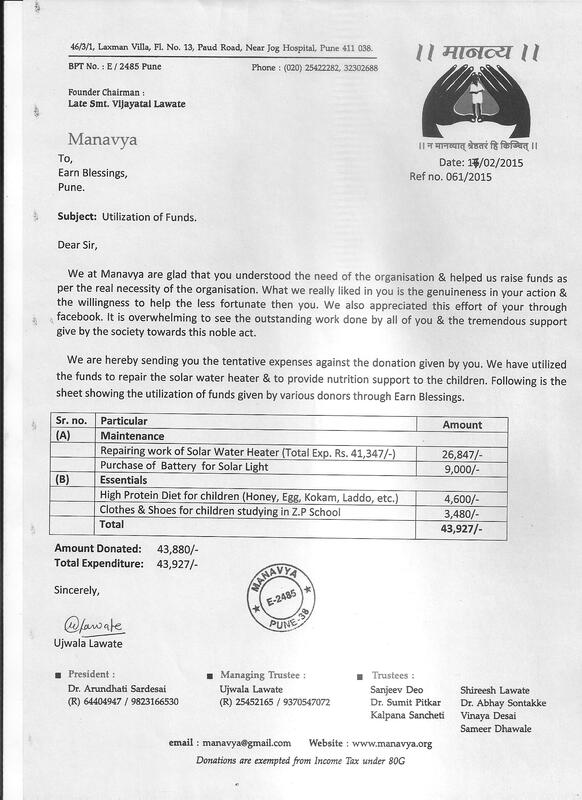 We have received a detailed report of expenses of the donated money. Thanks a lot Manavya.